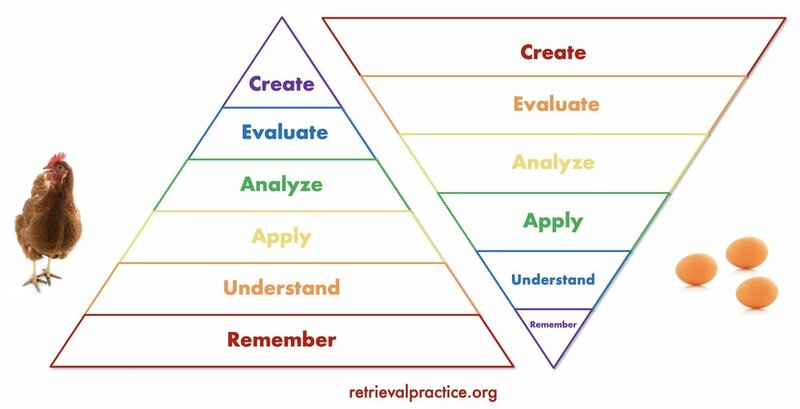 Chances are you're familiar with Bloom's Taxonomy, the triangle diagram that's in most teacher training programs, classrooms, and teaching centers. 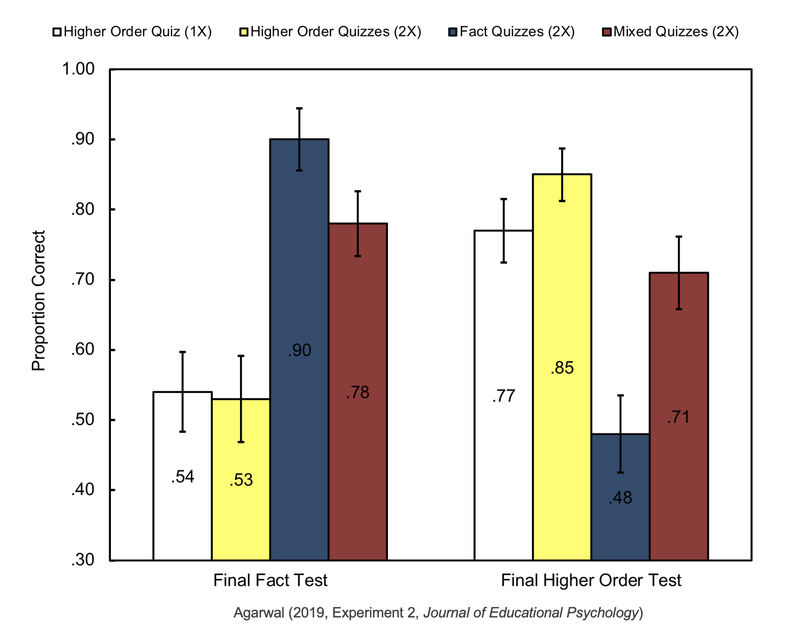 But here's an age-old debate: Do we have to build students’ fact knowledge before engaging them in higher order learning? Or is it the other way around? According to new research, students can reach the top of Bloom's Taxonomy without starting at the bottom. Pretty surprising! Keep reading. P.S. We'll be at the University of Notre Dame tomorrow (Thursday, March 28)! Info here. click here and download this image! Bloom's Taxonomy, originally published in 1956, is a framework commonly used to classify "lower order" and "higher order" learning. It has contributed to the collective notion that foundational knowledge (literally the foundation or base of the pyramid) precedes higher order learning (higher in the pyramid). But where's the evidence? Question: Which comes first: The chicken or the egg? 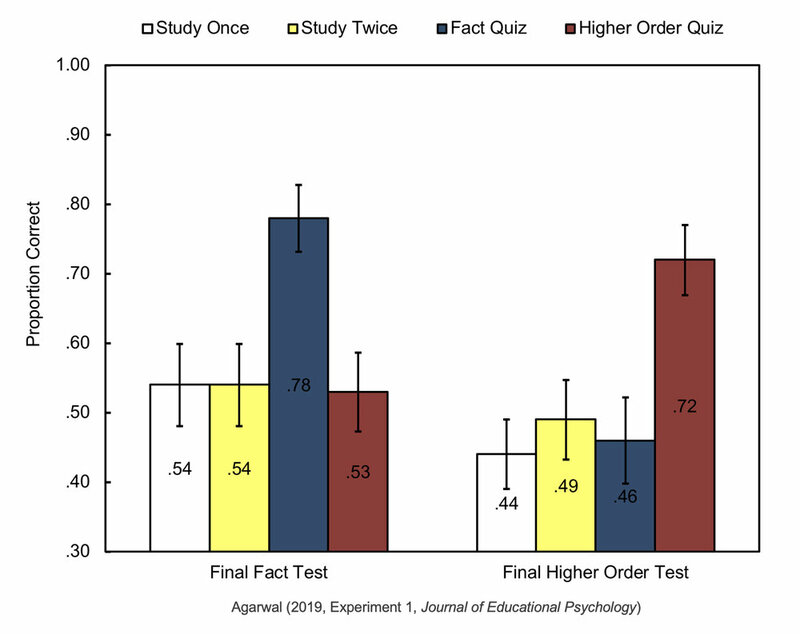 Answer: Engaging students in higher order retrieval practice, without building fact knowledge first, improves their higher order learning on a final test. We get good at what we practice. Want students to engage in higher order thinking? Give them the opportunity during retrieval practice and learning. Transfer is hard. We know that. Download our Transfer Guide full of strategies to boost students’ application and transfer of knowledge and concepts. 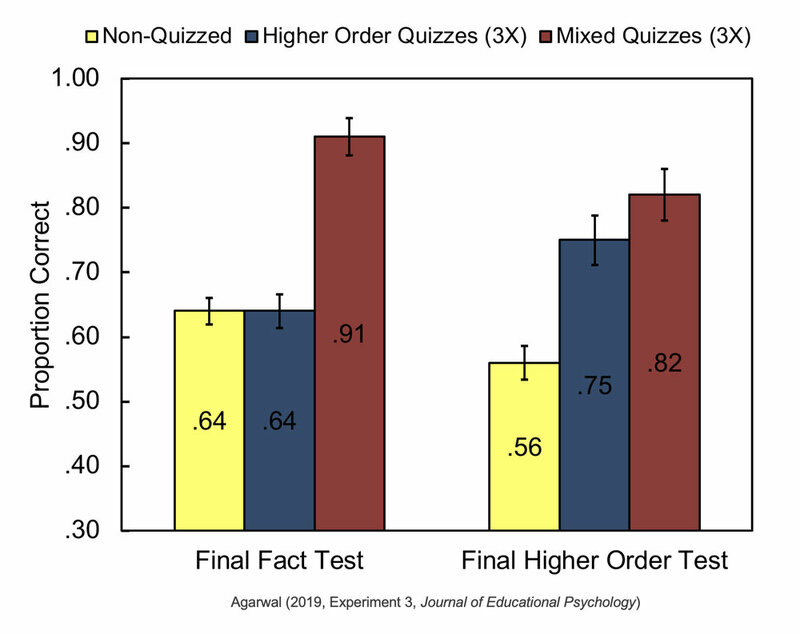 Give students a mix of fact-based and higher order retrieval practice. Fact learning may not be a pre-requisite, but it doesn’t hurt, and students get the best of both worlds. Read the full journal article by Pooja K. Agarwal, Ph.D., published in the Journal of Educational Psychology. Here are three graphs from each experiment. Reader beware: We hope they’re helpful, but these graphs are out of context without reading the article. Be sure to download the article for the full story! Which do you think comes first? What's your evidence? Share with us and comment below! Pooja K. Agarwal, Ph.D., is a Cognitive Scientist, Former K-12 Teacher, & Education Consultant. Founder of www.retrievalpractice.org.